Avoca | Custom Bathrooms | Central Coast bathroom renovations – Modern bathroom ideas. A balance between elegance and functionality was the focus of this bathroom renovation at Avoca. Maximising the space of the bathroom has been achieved through the use of custom made shaving cabinets. Strip lights have been employed under the vanity base to create a stylish feel to the space whilst also acting as a night light. 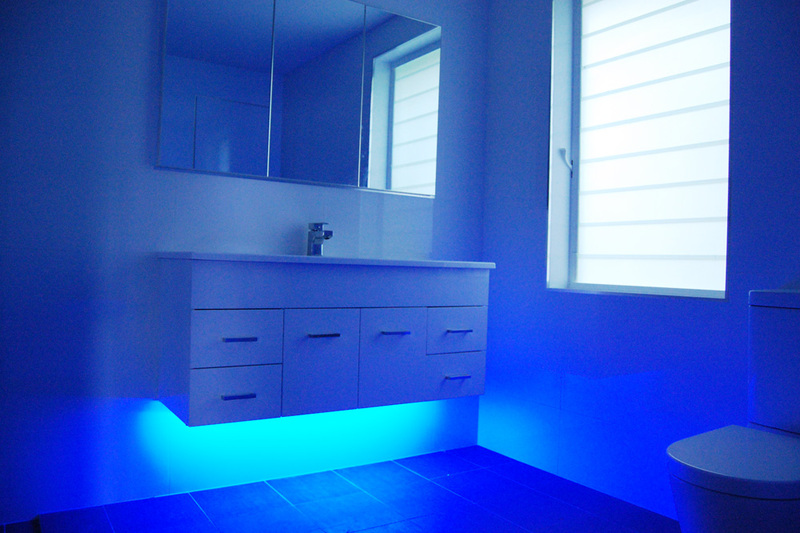 These strip lights are LED and are a cost effective form of lighting as they run on minimal voltage.